Looking for someone to buy up to 60 games. 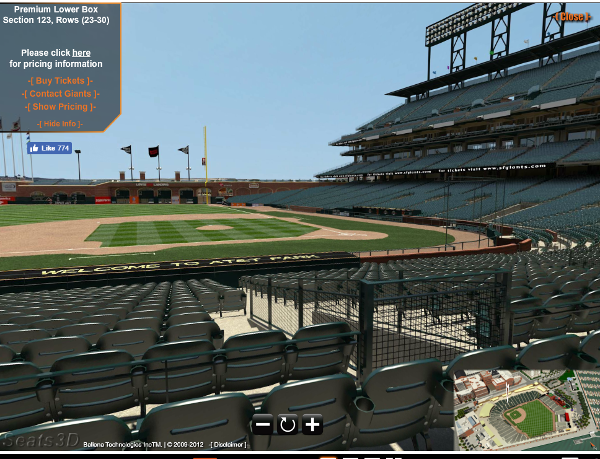 4th row in section, 26 rows behind the Giants dugout. I've had these tickets since the park opened. I know the surrounding ticket holders the entire time and am looking for someone that respects the game. The listed price of $75 is an AVERAGE per ticket price, the final total price will equal the total of the games by the price of those tickets, so depending on the games chosen the total price will vary! Hi Yukon, yes I am interested. Been busy today sorry I didn't respond sooner. I am not doing a draft, I'd like to communicate with you and we can go over what games you are interested in and you would pay face value. I used the $75 per seat as an average. For example depending on the games you choose the 40 games could be more or less than $6000. Does that make sense? Correct, I should've worded it that way! I'm interested in the tickets, but don't know if I would be able to make an 'in-person' draft which obviously would be important. What options do you provide to partners who can't attend the draft accordingly? This listing has been saved by 201 people.